Samantha here with you all on this last day of September! I am just still in shock that tomorrow will be October...crazy!! Ha! I decided to create a fun card that you can send to a special friend! Ha! 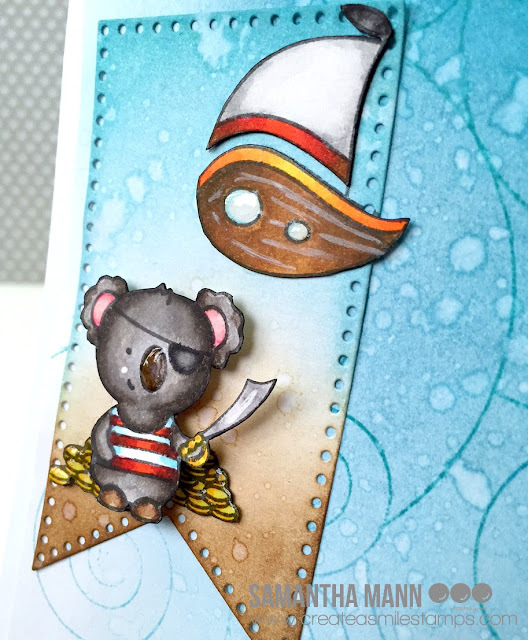 That koala though...I couldn't resist coloring him up when I was flipping through my stamps!! He's so CUTE! So, let's start making this card! - use your favorite coloring medium to color your images! I used my Zig Clean Color Real Brush markers and some mixed media paper to color my images! 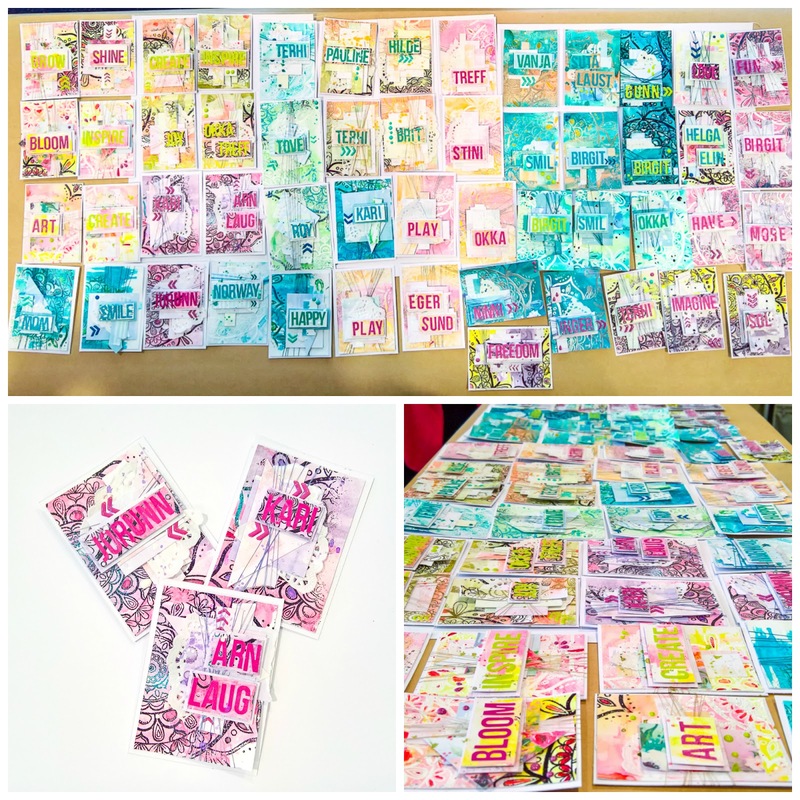 - using your card front, do some ink blending! I used Tumbled Glass, Peacock Feathers and Mermaid Lagoon Distress Inks! - once the blending is complete, stamp your background swirls n the coordinating ink colors! - on another piece of white cardstock, die cut the banner shape and do some 'island' inspired ink blending! I used the same colors for my 'ocean' that I used on the background, and then added some Vintage Photo for the 'land'. ha! 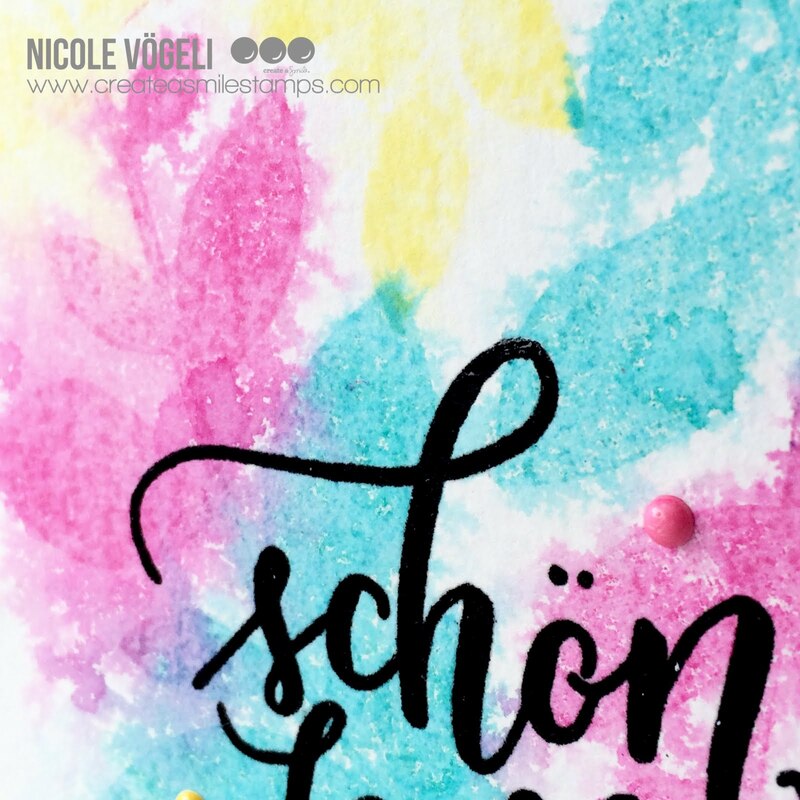 If you're not into ink blending, you can create a similar look with this card by using patterned paper! I combined rubber cling and clear stamps for this card! I used the Sophisticated Shells cling stamp set, the All Hands on Deck and Underwater Love clear stamp sets! I also used the Stacked Pierced Banner dies! 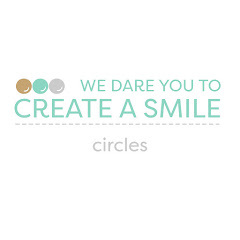 Have you joined the Create a Smile Friends and Family group on Facebook? 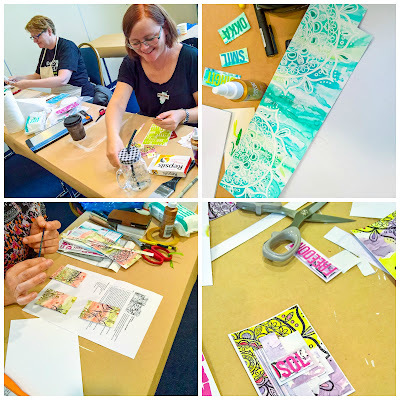 It's a friendly, interactive group where you can ask questions, share projects and be inspired!! Hope to see you there! I have a very quick and easy card for you today. stamp the leaves with Distress Inks on some watercolor paper to create your background. I inked up my stamp using three different colors. spritz your background with a mist sprayer. This creates that blurred look. stamp the sentiment with a crisp black pigment ink and put clear embossing powder on it to get a glossy look on the letters. I just had two of three matching enamel dot colors. So I colored a white one with a pink alcohol marker (e.g. Copics or Spectrum Noir). THANK YOU for stopping by. We love to read your comments! 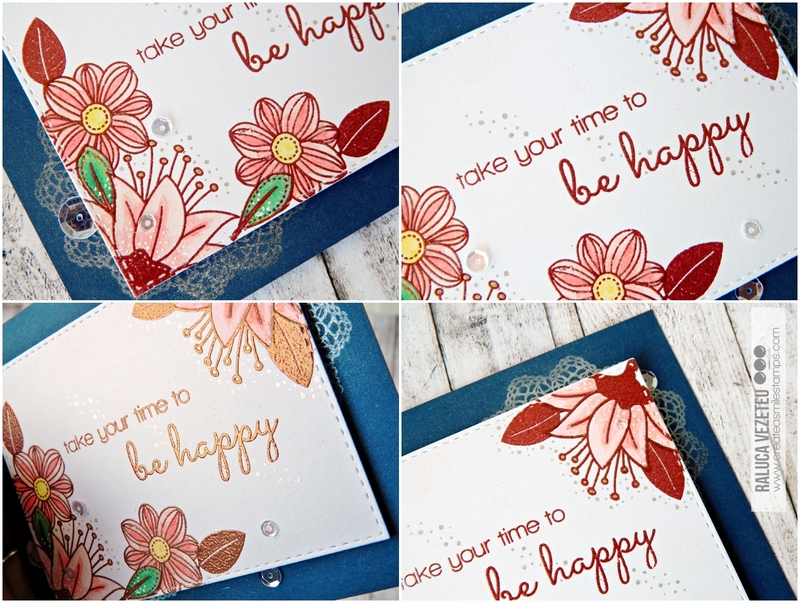 Raluca here with another floral card using the gorgeous Botanical Love stamp set. As I said in my previous post, I love this stamp set so much and it's a lot of fun anytime I use it. 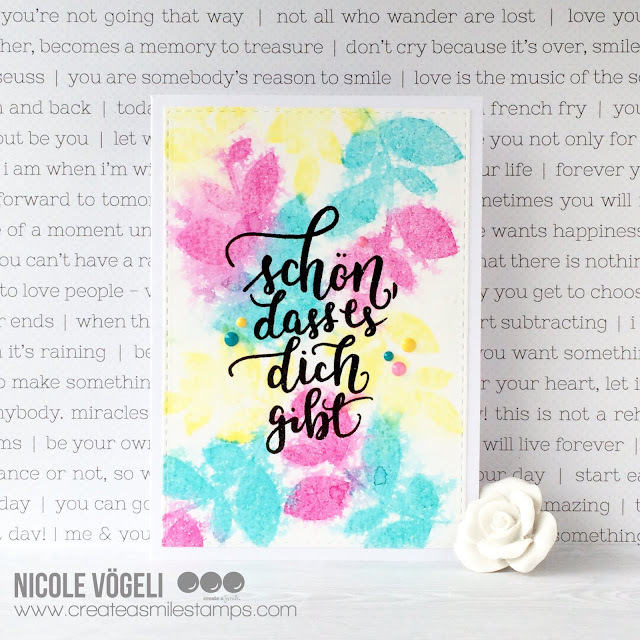 This time I wanted to use the other flowers from the set and create a card with the pink-blue navy color combo. *on a piece of white cardstock, stamp the flowers, the leaves and the sentiment in VersaMark, add rose gold embossing powder and heat emboss it. The result is absolutely gorgeous! *for stamping the flowers and leaves use the masking technique. *color the images with watercolors, Zigs, Copics, Distress Inks or colored pencils. *on the blue navy card base I used a stamp that I had in my stash (I have no idea what brand it is). 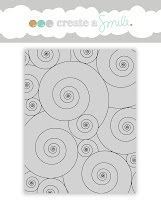 You could use the gorgeous Mandala cling stamp. *stamp in VersaMark and add Perfect Pearls! It looks awesome! *mount the white panel onto the card base using craft foam, add some Pretty Pink Posh clear sequins and the card is done! *for more interest add some dots around the images and the sentiment using a clear sparkling pen. Hi Folks, I hope you like our new release as much as we do and maybe you have already ordered some of the great stuff. Although we don't celebrate Halloween over here I love making Halloween cards and with this new release it's such a pleasure and fun. So for today's card I grabbed the Creepy Cute set, which by the way you can also use for a lot of other occasions. I used a topfolded black cardbase and did some random clear embossing with the diagonal grid stencil. I used the lovely tags M die with kraft cardstock and stamped the cling balloons in the sky with watermark ink and white embossed it. Smooshed some distress ink and placed it on the card with some foamtape. Made a banner out of orange cardstock and embossed it and stamped the boo prhase several times. Stamped the little spooky figures several times onto vellum and white heat embossed them and fuzzy cut them. I couldn't find the perfect purple color to match the fiber so I went for some purple painterstape and white heat embossed the sentiment. Adhered everything to the cardbase and to finish of the card I used some enamel stickers. Creepy cute, Monster Party, Big Time. 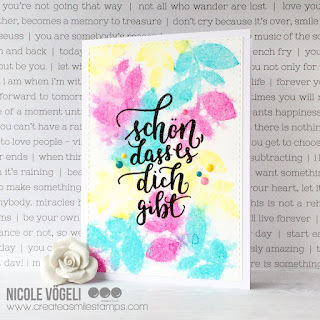 For an interesting tone on tone background use some clear embossingpowder with your stamps or stencils. 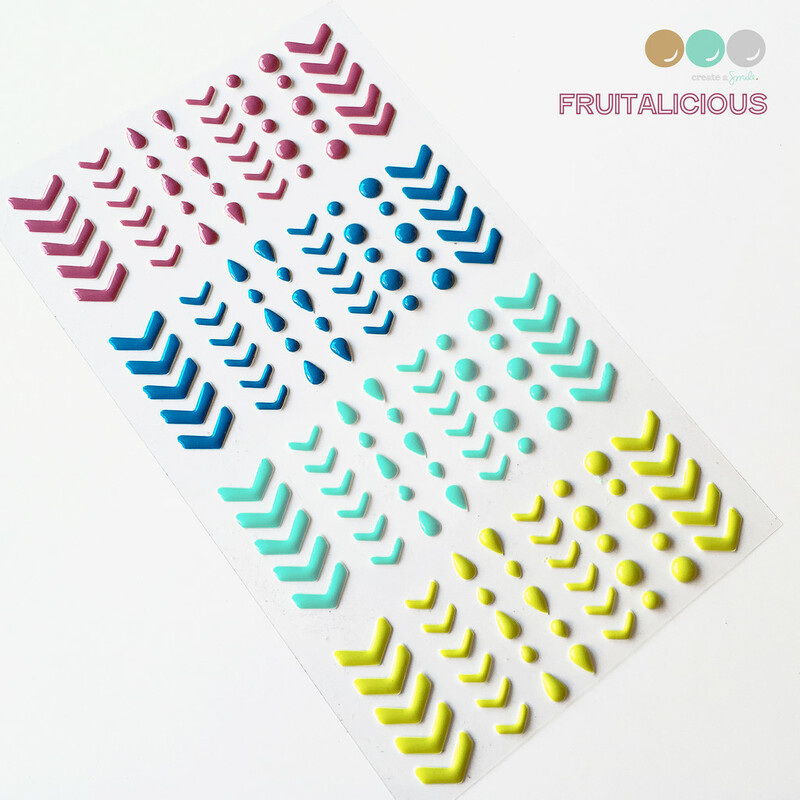 If you don't have the matching paper or cardstock try to use some tape which you can also emboss. You have untill tomorrow to join in the fun over HERE and maybe win our give-away. If you haven't done already please scroll down for the release posts they are full of great inspiration. 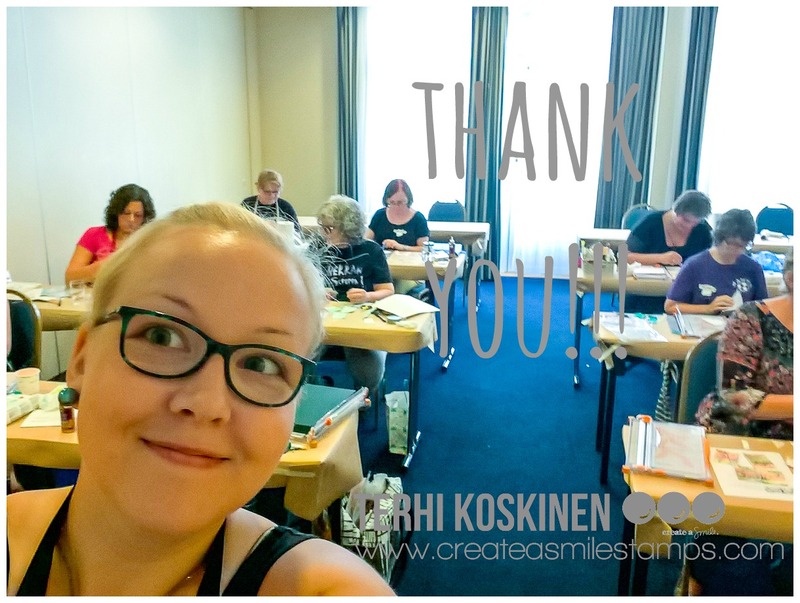 It's Terhi Koskinen here, back in Design Team and now telling you about my happy weekend early September. I had a huge privilege to be asked to teach some workshops in Norway, and sure I said yes for the opportunity like this! Having support from Create A Smile made this journey possible and I felt honored to be the first educator going abroad with Create A Smile products. So much fun! 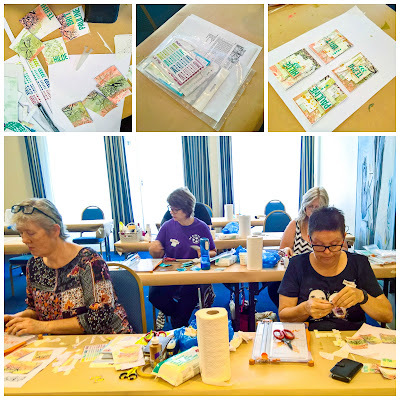 The event, Okkatreff, was organised by two lovely Norwegian ladies and it was located in beautiful little city Egersund in southern Norway. 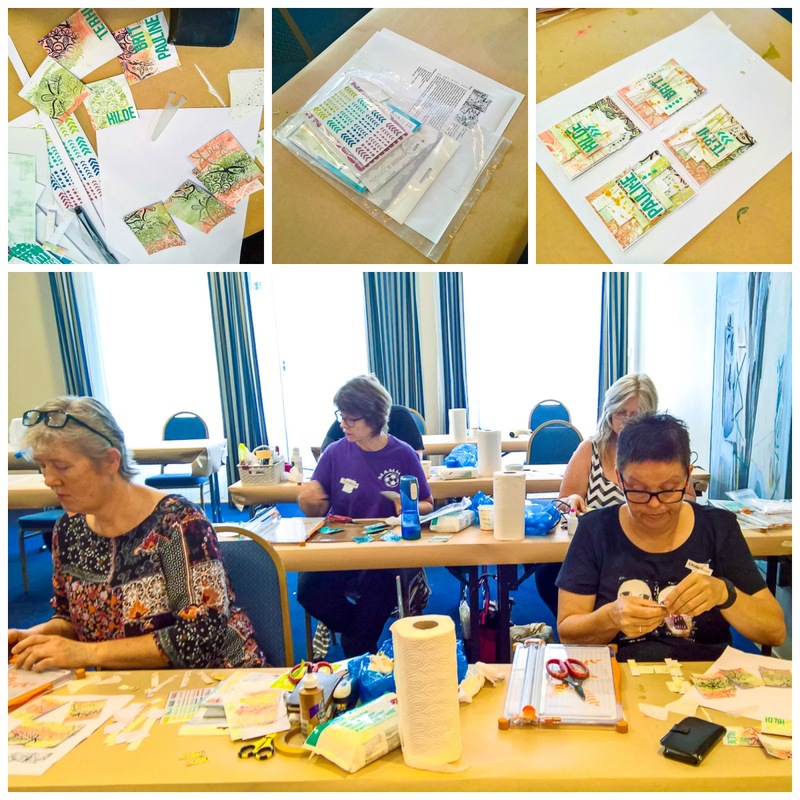 I taught three classes, and one was special ATC class with gorgeous Create A Smile products. In a class kit we had a stamp, the coolest Mandala stamp ever, Alphabet Stickers, Fruitalicious Enamel Stickers and papers from 13arts. Listening the "oohs" and "aahs" from student while they opened their kits was wonderful, and they all enjoyed the Mandala stamp so much. 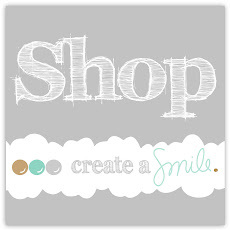 And why not, it's perfect for so many kind of crafting, from cardmaking to art journaling. 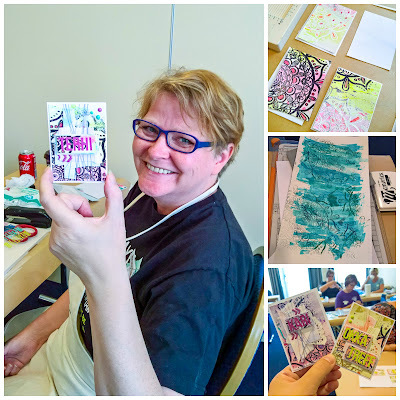 Even though I'm better known as a scrapbooker, artists trading cards are fun way to be creative as well! I love the small size, but big opportunities. 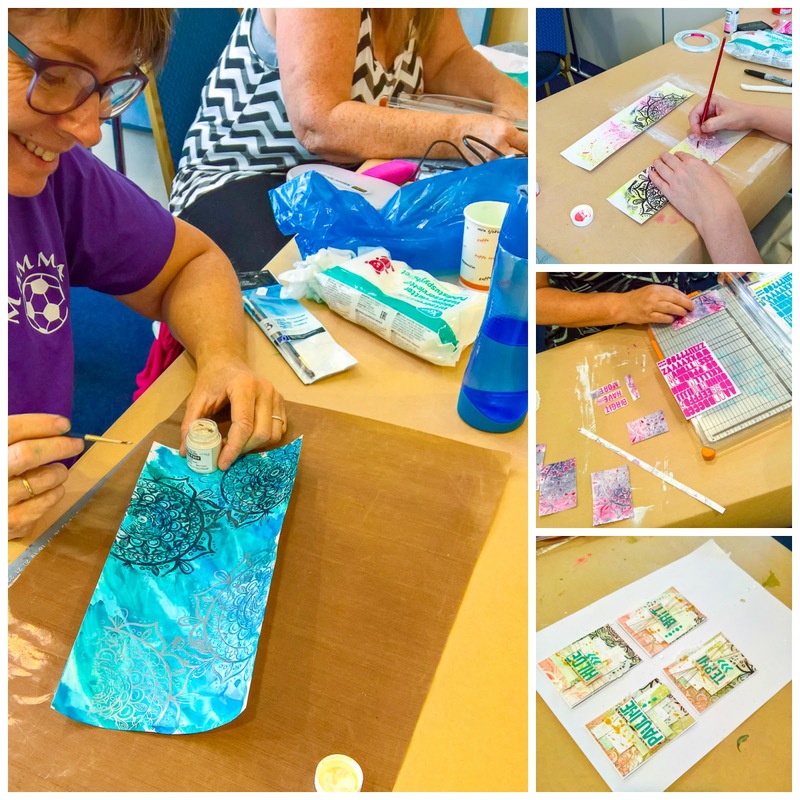 In this class we made some fun mixed media techniques with mists and stamps. All the ladies in the class were so talented! And if I can believe the smiles on their lovely faces, I can assume they really liked what they were doing. I was honestly impressed about the talent and enthusiasm they got. Thank you all for participating! I'm truly thankful for Create A Smile for making this class possible. It was the first, but I'm sure it wasn't the last! Hi everyone! Today, there's no theme but just fun! So i hope you'll enjoy the card I have for you today. Everything is done with watercolour paper. Started of by die-cuting the treasure chest. I love this die! And do stay tune to see what else I come up with using this die. Follow the dotted and scored lines to fold it. Next, I just stamped out the cute ghosts and colour them and make it look like they flew out of the chest. It's Release Day! And Giveaway time!!! Release Countdown "2" - so much Inspiration! Release Countdown "3" - see the full release!